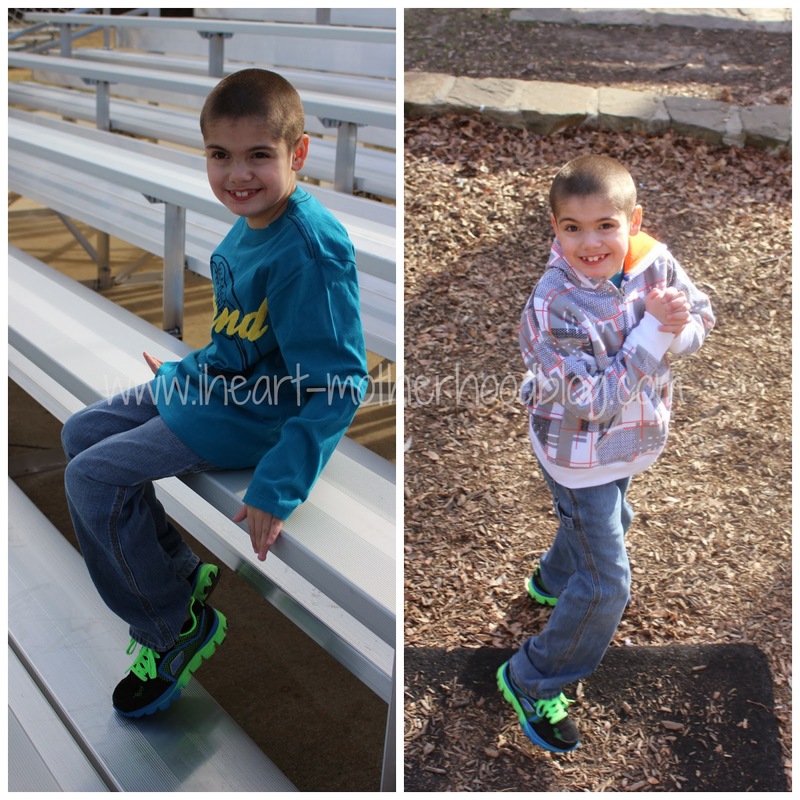 Having children means having growing & on the move little feet in your home, Skechers has been featured here at IHeart-Motherhood before & I am happy to have them back on My Big Guy's feet for his "Feeling Great Cause I'm Turning 8" birthday event! Skechers has more than 3,000 styles for men, women & children, they offer high-performance footwear from BOBS to Skechers GOwalk, you will find shoes, apparel, bags & more! Big Brother C was sent a pair of Skechers GoRun Ride-Supreme shoes by Skechers. These shoes are made of lightweight, flexible mesh & synthetic upper in an athletic running sneaker featuring a colorful shock absorbing midsole. These shoes have a stay-put tongue & a soft smooth fabric shoe lining for easy barefoot wear along with a flexible rubber traction outsole. Tell me you love those colors, cool, bright & so stylish! Big Brother C loves his new GoRun Ride shoes in black/green, not only do they fit great, they look great on him too! Skechers has shoes for the entire family, you can shop online with ease, what is your favorite pair? Feel free to stay connected with Skechers through their social media sites like Facebook & Twitter! I love their shoes and so do my kids. My daughter basically only buys sketchers for my grandson. At my house, everyone loves Skechers shoes because they are so comfortable and stylish. I like the pair that your son has on! They look so comfortable. I have a few pairs of their shoes and they are great! The shoes look super cool and will be looking for that pair! Thanks for the post! I didn't realize that Skechers has 3000 styles. These Skechers look great on your son and it is nice that they are made so that one can wear them barefoot too. I bought my 6 yr ols Sketchers for back to school, and they are the ONY pair of shoes he has had since he was3 that he hasn't been able to tear holes in yet. Worth the money! love those shoes! those would be awesome! i love skechers they are great shoe company! I just bought a pair of Sketchers shoes and I love them. They are so comfortable. I've had Sketchers before and they last forever! Love Skechers! They have the best shoes and we have the outlet close to our house and they are always having specials! Love that it looks like it glows in the dark! Hope he had a great birthday!